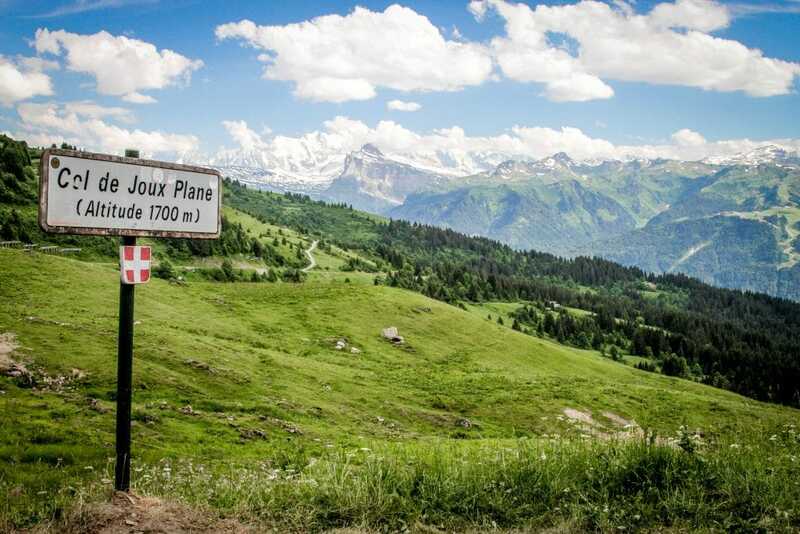 The Col de Joux Plane has spectacular views of Mont Blanc and the Massifs of the Haute Savoie and reaches an altitude of 1691metres. The climb from Samoens is one of the steepest in the alps and has featured in the Tour de France 12 times! This category 1 climb leaving the area of Samoens is an iconic climb with a descent into Morzine centre. The Col features in our Pearl of the Alps, Morzine Bank Holiday Special or as part of a day or bespoke tour, is 11.6km with an elevation of 892metres, a maximum grade of 13% and average grade of 8.5%. Get in touch to discuss our road cycling tours including the Col de Joux Plane or to chat about creating your own bespoke tour or day ride.